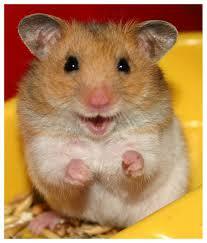 Hamsters are smaller than guinea pigs but bigger than mice. They are very cute, and seem like good pets. There are a few things you should know before getting a hamster. Hamsters are nocturnal. They stay awake at night, playing, gnawing and making noise. They don’t like to be bothered during the day and might even bite. 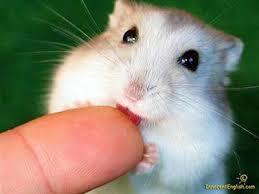 All About Hamsters: Smaller than guinea pigs but bigger than mice. They are very cute, and seem like good pets. Hamsters are fragile. They can easily be hurt. Most hamsters only live two or three years. They can also carry diseases that can make you sick. For all these reasons, hamsters aren’t the best pets. Hamsters might even bite. They can also carry diseases. That’s why they aren’t the best pets. 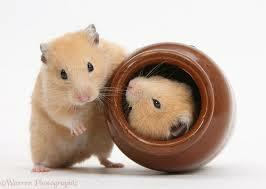 Hamsters were first found in Syria. They live all over the world. Hamsters hoard their food. They stuff their mouths full and then spit out and hide some of the food for later. Hamsters like to play. They need exercise wheels or tunnels. They shred paper and cardboard. Hamsters have teeth that always grow. Hamsters can catch a cold from humans. Hamsters like to play. They need exercise wheels or tunnels. 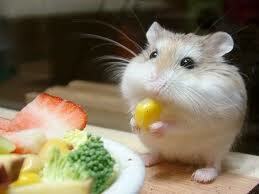 They eat hamster food, raisins, sunflower seeds or fruit. A video all about hamsters and how to care for them as pets. Question: Can hamsters live with other hamsters? Answer: Hamsters sometimes fight. They are happier alone. Question: What do hamsters eat? Answer: They eat hamster food, raisins, sunflower seeds or fruit. Enjoyed the Easy Science for Kids Website all about Hamsters info? Take the FREE & fun all about Hamsters quiz and download FREE Hamsters worksheet for kids. For lengthy info click here. Declan, Tobin. " Fun Hamster Facts for Kids ." Easy Science for Kids, Apr 2019. Web. 24 Apr 2019. < https://easyscienceforkids.com/all-about-hamsters/ >.